Situated 800 metres away from Kalathos Beach, the family-run Kalathos Sun Hotel offers rooms with 2 balconies, enjoying sea and mountain views. It includes a snack bar and a restaurant. Only 100 metres from Kalathos Beach and featuring an outdoor pool, Sea Harmony offers self-catered accommodation. Guests can taste Greek dishes at the on-site restaurant, as well as refreshing drinks or cocktails at the bar. 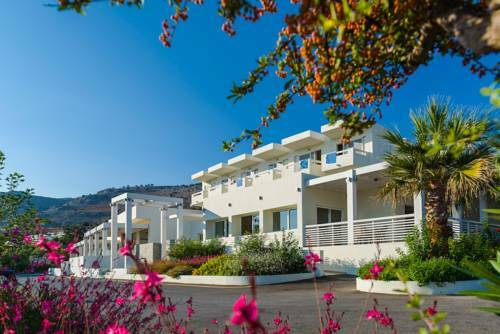 A short walk from Kalathos Beach and only 6 km away from the picturesque Lindos, the elegant Atrium Palace Resort offers a choice of Thalasso Spa treatments and exclusive restaurants. WiFi is offered throughout. Within 350 meters from Lardos Beach in Rhodes, Olive Garden Hotel is set amidst blossomed gardens and features a pool, a hot tub and a sauna. Leisure facilities also include a games room with billiards, a poolside snack bar and a tennis court. 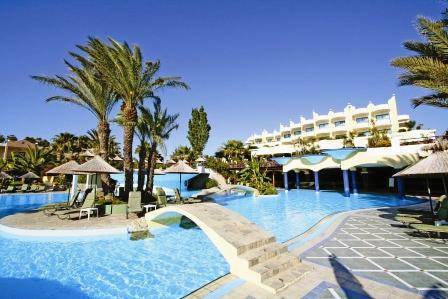 Lindos Princess is set directly on the quiet sandy beach of Lardos. 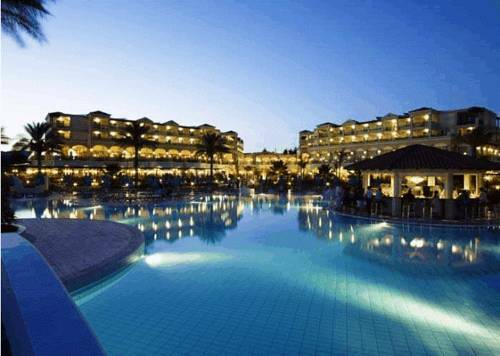 The 4-star hotel offers 3 sweet-water pools, a water sports centre and a spa with indoor pool. Right on Lardos Beach, the all-inclusive Kamari has a free-form pool with separate children’s section and a snack bar. 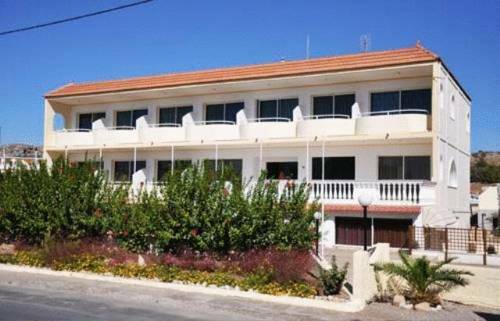 Featuring an air hockey table and a beach volley court, the hotel offers spacious rooms with Aegean Sea or garden views. 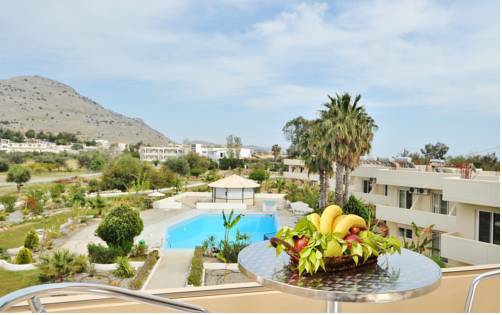 Located just 200 metres from the beach, Sun Shine offers self-catering accommodation and a large swimming pool with free use of sun beds and umbrellas. Free Wi-Fi is available. 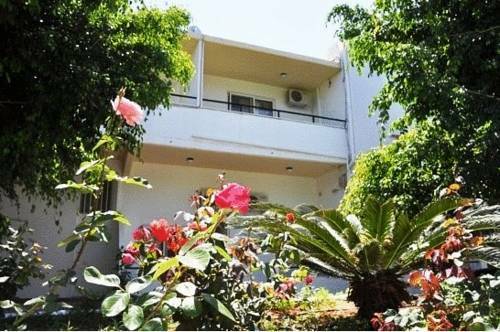 Just 250 metres from the sandy beach of Vlycha, Vlycha Beach Apartments offer accommodation set in a spacious garden. 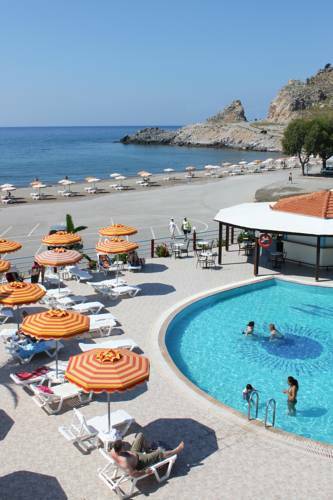 The beach is equipped with sun beds, umbrellas and there are water sports facilities. Free WiFi is available in all areas. 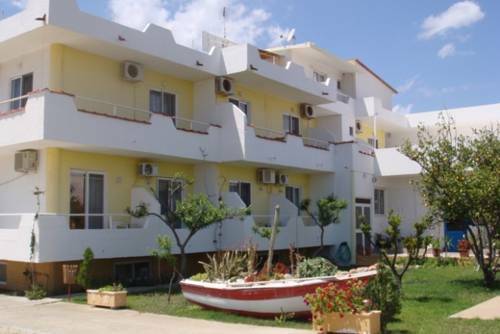 Katikies Studios & Apartments are right on the seafront, on Lardos beach. Guests enjoy free parking and free Wi-Fi. Practical and comfortable, Katikies Studios are traditionally built and surrounded by well kept gardens. Located 200 metres away from the beach, in Vlycha Bay, the 3-star Lindos White includes 2 swimming pools, 2 pool bars and a restaurant. 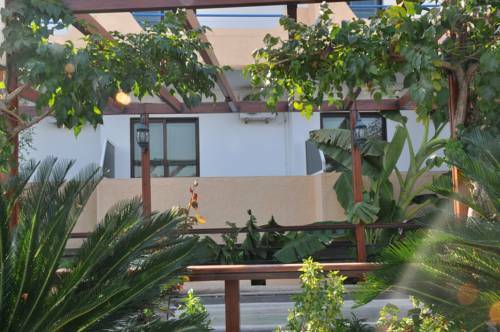 It offers minimally decorated rooms and has a tennis court.